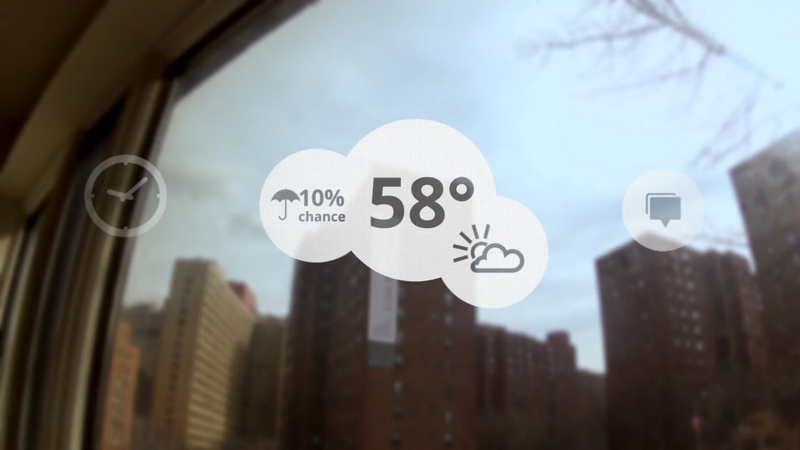 Google shocked us all last week, when it launched its ‘Project Glass’ video. If you have seen it you will know what I am on about, if not, check out the video below. I am still not 100% sure that Google are completely serious about Project Glass, but from everyone else’s response, it would seem they are. The glasses are viable, and could actually be made, so it is possible. Using very advanced technology, cloud computing, advanced Wi-Fi, projection technology, voice interpretation technology and Android, it is possible that these glasses could be developed. In the video Google have produced, they show the glasses doing things that our smartphones can already do today, just being done right in front of your face, as a projection, rather than a physical object that you have to hold and more around. There are some issues with this futuristic design though, and most of them are with privacy and security. What happens if you put the glasses down? Your virtual life is connected to those glasses, your emails, potentially bank, diary etc. so what happens if you put them down, and someone picks them up. They could have access to all your data, right in front of them. Another issue is that it could be hard to distinguish reality from virtual reality! At first it could be very confusing for you, and others around you. You may start looking where you wouldn’t be without the glasses, you could start talking to yourself, or the glasses. It could be a bit difficult to deal with socially. How would we deal with these problems? Remember when wireless headsets first came out, people used to look like they were talking to themselves, now we know of the technology thought we know that it not the case. Would the same be the case with the glasses. Another big issue would be ads. People are currently unhappy how Google watches them on the web, and then presents them with ads relevant to the content they are browsing. Imagine the uproar, were Google to see everywhere you are going. They would then be able to present you with perfectly tailored ads! For more information, check out Project Glass Google+ profile. What do you think about the glasses? There are loads of rumours and a lot of speculation out there, but what do you believe, and what do you think will/wont happen? Project contact lenses, never thought of that one! I’m interested to see where Google will go with this. Augmented reality is already used in a few iPhone apps such as StarWalk (some of the apps area really good while others aren’t) but this could definitely in my opinion become something that changes how we use technology. No doubt about that James, just how and when? I’m sure privacy is going to be big concern after arrival of “Google Glasses”. Google can easily find out your daily time to time activity, your friends, relatives and it can use them all as their own data. The way they’re projecting this “Google Glasses” it’s really awesome but they need to secure the privacy of each individual as well. Addressing the point you raised, I think maybe a retinal scan system could ensure no one but you can ‘switch it on’. This device is definitely the kind of stuff that we could only dream about a few decades ago. Of course, the key would be to be able to have the actual experience be as seamless as in that video. And that requires a lot of things to work in perfect sync. Yeah, when your eyes start loading, that could get boring… Oh no, my eyes have crashed! These are really impressive, i can certainly see how popular these will be and get. I hope they really are serious about making them.